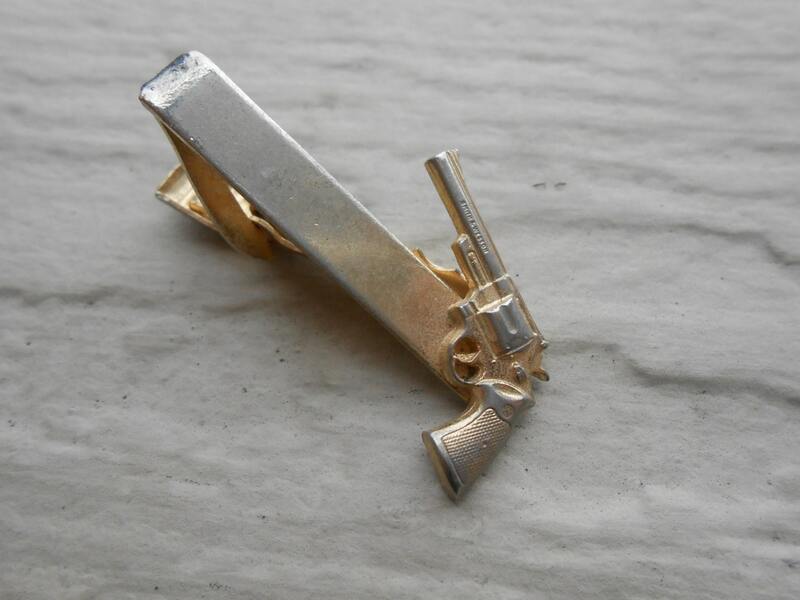 Vintage Gun Tie Clip. Father's Day, Wedding, Groomsmen Gift, Dad, Birthday, Anniversary. Pistol. 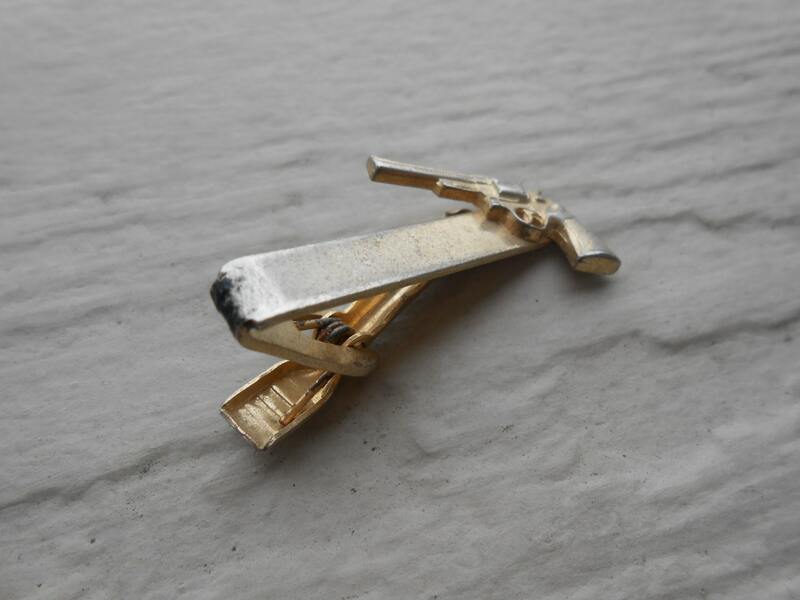 This vintage gun tie clip is perfect for any man! The clip has a revolver on one end that says Smith and Wesson. 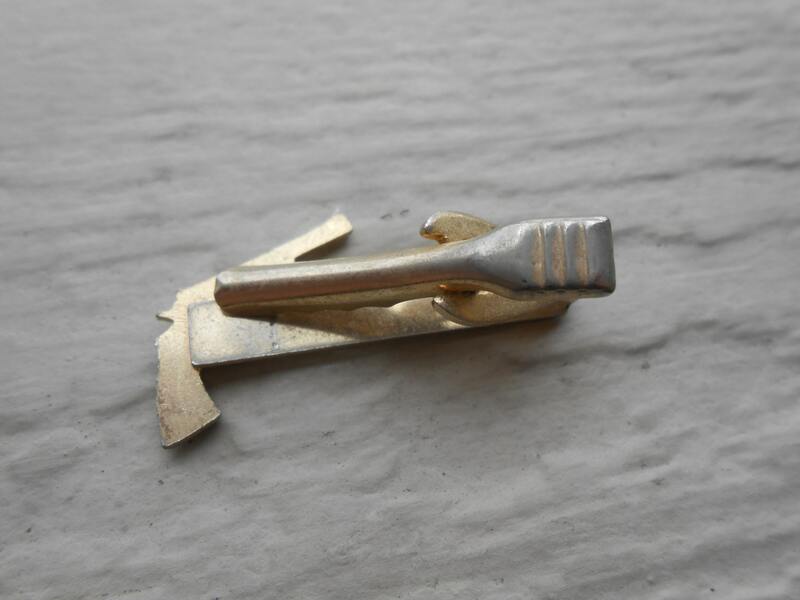 It is a gold color and measures 1 1/2" long. It was made in the 1970's. It is in good condition, with just a bit of normal metal wear due to age. 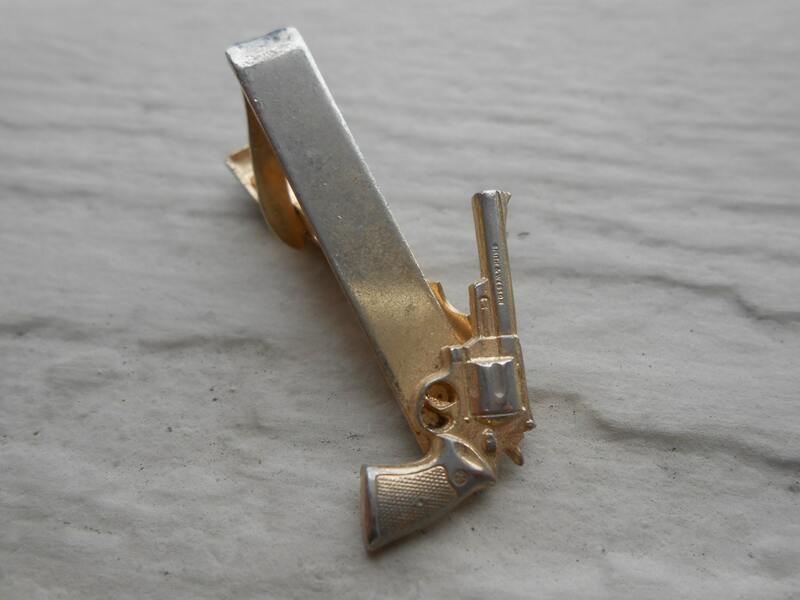 Looking for gun or fish cufflinks? Find many pairs in my store! This would be a great gift for any time of the year! Wear it for a wedding, give it for a gift, for Father's Day, or a birthday or Valentine's day.